This book could be described as a rough guide to person-centred training. A book borne out of personal experience in more ways than one, this volume started life as an idea in a person-centred training group. Laura Buchanan and Rick Hughes then set about collecting hundreds of personal accounts of person-centred training from all over the UK. The book covers all the topics that prospective trainees could wish to know about from funding and course applications through to what happens when you finish the course. It is a compendium of unsentimental testimony from dozens of trainees with some contributions from trainers to complete the picture. 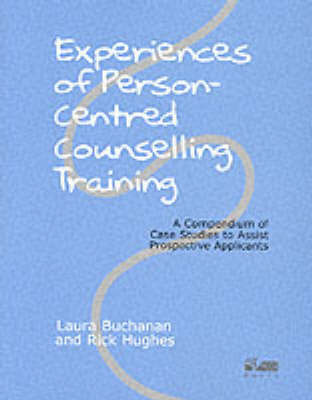 Aimed at anyone contemplating embarking on person-centred counselling training, the book may also be of help to those considering trainings in other counselling and psychotherapeutic approaches. An excellent preparation for counsellor training, Experiences of Person-Centred Counselling Training will help prospective applicants ask themselves some key, perhaps painful, questions before starting the course application stage. Deliberately priced to suit the pockets of hard-pressed prospective trainees, it is packed with personal experience and useful information.